What you say, is what you get! So if you ever catch yourself saying I would like to be 'such-and-such,' or I would like to have 'such-and-such,' ...BUT... I have no money ...BUT... what would other people think ...BUT ...I'm Black (or Jewish or any other minority)...the BUT you're putting in your way is your own BUT! 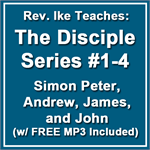 In this powerful, eye-opening MP3 Rev. 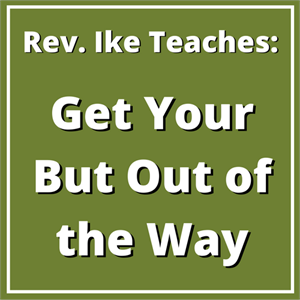 Ike leads you to the realization that YOUR word - what you say and think about yourself - is the Word of God, and that it and only it, determines your conditions and circumstances in life! Rev. 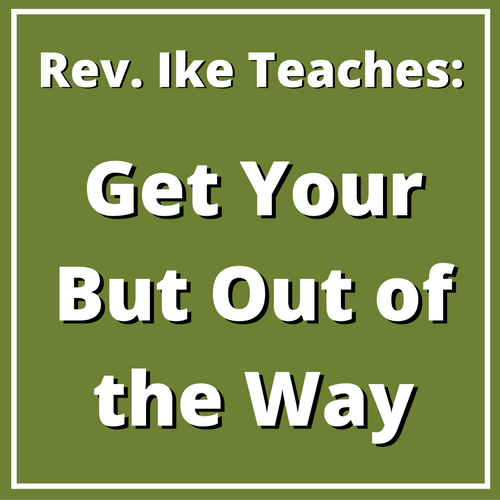 Ike motivates you, inspires you and shows you how to get over those 'Buts' that are standing in the way of your good health, happiness and success. 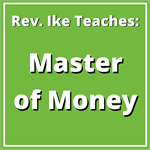 As you repeat the powerful affirmations in this audio lesson, Rev. Ike leads you and guides you to increased self-awareness - you discover how to determine your own life - how to get what you want - by correctly using the power of your own thoughts and beliefs. You will develop your own inner strength and self-confidence and learn to stop being dragged down by other people¹s opinions. Listen to this MP3, get your 'BUTS' out of the way and discover the power of believing in yourself! One of the Best Sermons!